Christina Van Vort advises clients on a wide variety of corporate, regulatory, and transactional matters. Ms. Van Vort’s practice includes corporate governance and transactions, health care regulation, including requirements affecting health care providers and managed long-term care plans, financing, acquisitions and sales of home health agencies, health systems, nursing homes, hospitals, professional practices and other health industry clients. Ms. Van Vort advises on the licensure process and requirements for health care entities in New York, and has particular expertise regarding home care providers, hospitals, assisted living residences, nursing homes, and continuing care retirement communities. In addition, Ms. Van Vort has worked extensively on the formation of new not-for-profit corporations, and the legal requirements governing not-for-profit corporations in New York. Ms. Van Vort has lectured on home care acquisitions, corporate law and HIPAA. 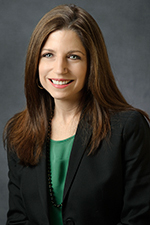 Prior to joining the firm, Ms. Van Vort was a corporate, transactional attorney for Winthrop, Stimson, Putnam & Roberts and Brobeck, Phleger & Harrison in Manhattan. Ms. Van Vort is a member of the Board of Directors of “Alternatives for Children,” a not-for-profit organization dedicated to meeting the needs of children with disabilities and developmental delays. Ms. Van Vort received her B.S. in mathematics/computer science and Spanish from SUNY Binghamton in 1986 and her J.D. from Brooklyn Law School in 1993.